We at Nipro Pharma have established a position as a rare all-around player among other manufacturers of contract pharmaceutical products, and have established trust from customer companies. We handle all types of drugs, including injectables, orally administered drugs, and external preparations, and provide flexible support in accordance with requests from consigning companies, from development to production and to the development of containers. In the category of injectables, we cover various ampoules, vial transfusion fluids and kits, as well as biomedicines and anticancer drugs. 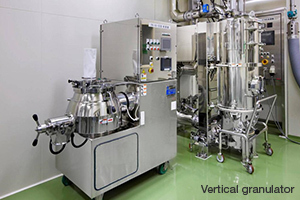 In the category of orally administered drugs, we are capable of carrying out all types of granulation methods, such as wet, dry, extrusion, stirring, rolling bed, fluidized bed, and etc. In the category of external preparations, we can handle production of products from poultices and tapes to ointments, creams and fluid agents. These enable the selection of production methods in accordance with the characteristics of the drug. We are capable of contract manufacturing of new drugs, generic products, and investigational products, in accordance with the needs of customer companies. 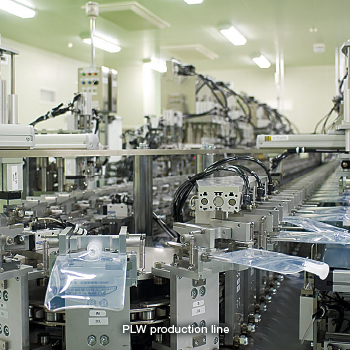 Our services extend from simple contract manufacturing, where we only produce pharmaceutical products for customer companies, to supported applications for generic products, where we undertake all steps from prescription design to the preparation of the application dossier, in response to a request for a new generic product. 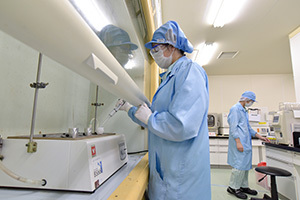 Nipro Pharma has the capacity for contract manufacturing in accordance with various needs, through its partnership with group plants deployed throughout Japan and the world. 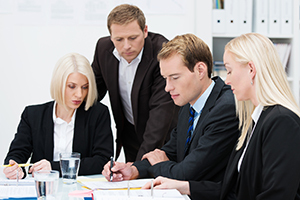 The group is capable of covering requests from small-lot investigational products to post-marketing mass production of commercial products. Production systems for injectables and orally administered drugs consist of more than one plant, thereby mitigating risks in the case of an emergency. We have a reassuring support process from the conclusion of a contract to the start of the actual contracted production. Following the conclusion of a manufacturing contract, we undertake prescription design and drug development, as necessary, in combination with Nipro Pharma's drug production technologies. Subsequently, the customer company is supposed to file an application, using an application dossier prepared by Nipro Pharma. Our support in production and quality control extend beyond the contracted production and application support.